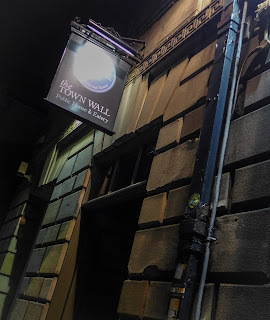 This was the first place I ever reviewed for The Journal, and although I wasn't particularly generous back then, I was given little reason to be. That was in March 2011, exactly 5 years ago. I found the meat chewy, the salad dull and the "artisan bread" of the burger looks suspiciously like a bun. Worst of all, not only did you have to order everything from the bar, you couldn't leave a credit card as deposit, so, rather ludicrously, every trip for a refill of wine or water took an age. Things are definitely better now. Where I once found dud steaks and burgers, and non-existent service, this week I was able to select a dish of roasted hake with a confident sauce in which the saltiness and tang of capers and brown shrimp had been added to a liquor that tasted like the scrapings of a roast chicken pan. Which, to be clear, is a very good thing indeed. It was fresh and delicious. 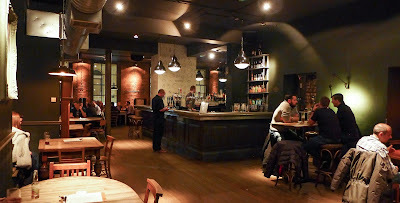 It's still an impressive space for a pub, and in a great position close to Central Station. It was the first bare brick and air duct place in the city; since when, the style has become ubiquitous. 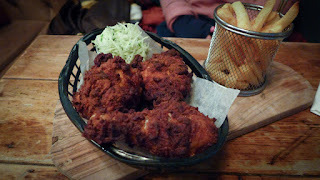 Burgers and steaks are still available, but Mrs Diner wanted to try the buttermilk fried chicken, which was a decent rendition of the southern US favourite. The bird was moist and well seasoned, only suffering from its crumb coat having caught slightly. 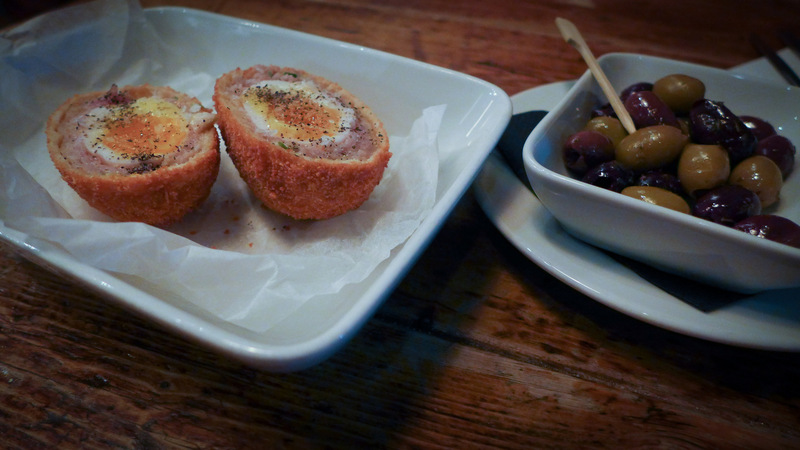 We had started with a rather fine scotch egg. A good scotch egg was, but a few years ago, as rare as a dodo. Now, thanks to the influence of Terry Laybourne's excellent gastropub The Broad Chare (whose sous chef Tony Renwick left to run the kitchen of The Town Wall's sister pub The Bridge Tavern) we have become used to runny yolks and well-seasoned forcemeat. This is what progress looks and tastes like. 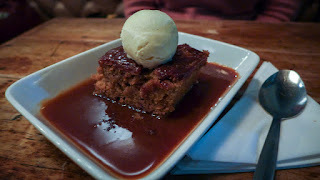 We finished with a better than adequate sticky toffee pudding. While the press, which is always looking for some apparently objective measure of success, obsesses over the Michelin Guide, most people would rather invest their hard-earned cash in an enjoyable experience at a “mid-range”, or “casual-quality” outfit. However, everyone stills wants to be enjoy a decent standard of food. In this respect, at least in Newcastle, people are now better served than at any time I can recall. The Town Wall was one of the places that first exploited the trend for good pub food in our city and I'm not surprised it's still popular. It's no culinary Valhalla, however, and our meal was not quite excellent. Most things were slightly over-seasoned, and rather too much of the menu is plucked from the deep fat fryer. You still have to order at the bar, but now at least you can use your credit card. There was certainly some proper cookery here, which probably explains why we struggled to find a table on a damp Thursday evening. 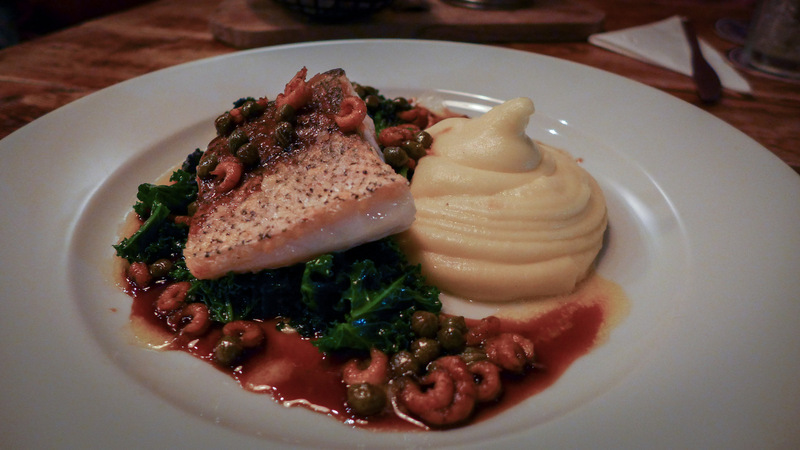 Good pub food is now available in more places than ever in this City, and I’ll raise a half pint of (delicious, by the way) Jakehead IPA to that.